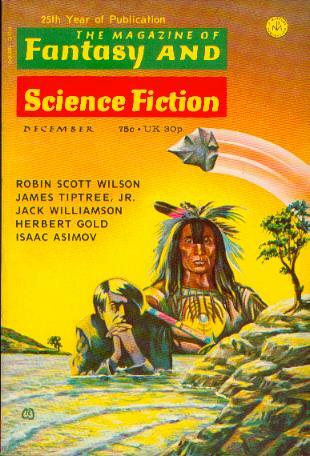 James Tiptree Jr.’s novelette “The Women Men Don’t See” has not gotten any less relevant or interesting since 1973 — at least that’s my impression. Our narrator is some middle aged d00d who seems to work for the government. He has crashed with a Maya pilot and two plain women, mother and daughter. With the mother, Ruth Parson, he crosses the bay, a mangrove swamp, for freshwater. It’s a first-person present tense narration, even though he’s situated in the future recalling the narrative. It keeps the reader a little off-kilter, much like he is in this sweltering jungle, with an injury, and on painkillers. His descriptions of the plane, the weather, and the environment are precise — he understands everything around him except the women, naturally.